Smokey Sumatra! | Walk with us! 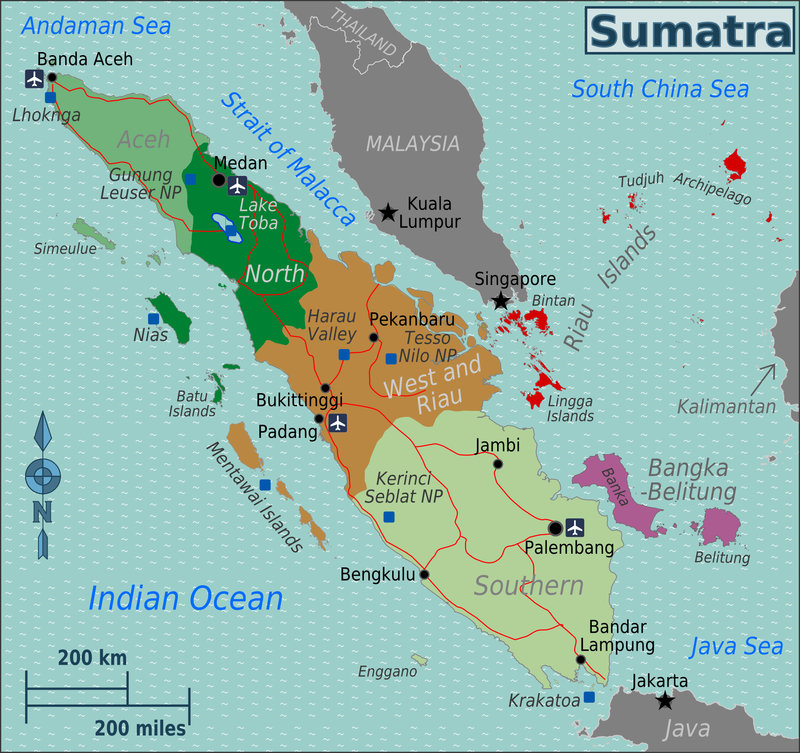 Sumatra is one of Indonesia’s largest islands. On the way to the airport this morning to catch my 10:35 a.m. flight from Yogyakarta to Palembang both Fr. Joni, SCJ, and Fr. Suradi, SCJ, warned me that Palembang would be smoky and that sometimes planes have trouble landing! As our plane was coming in for a landing I understood what they were trying to tell me. Just like Mother Nature’s blanket of fog, a cloud of smoke hung over the city making it difficult to see the ground until we were practically on it. Not only that, you could smell the smoky air even as the plane was coming in to land. It is an annual problem for this part of Sumatra as farmers west of here burn off the land to get ready for planting their next crop. The smoke lasts for about three months and spreads as far as Malaysia and Singapore, depending on the winds. As you might imagine, neither country is very happy about the situation. Fr. Agustinus Pribadi, SCJ, the provincial treasurer, told me that a number of owners of large farms live in either Singapore or Malaysia but still burn off the land. I’m thinking it may curtail my walking for the next few days. Thankfully, the air is to be much better in the province of Lampung where I will head next. I return to Jakarta on November 18. To help orient you as to where I am and where I am going I’ve included a map of Sumatra (top of page), one of the largest of the Indonesian islands. At the bottom right is the tip of Java with the capital Jakarta noted. Yogyakarta, where I came from today, is in central Java about a 55-minute flight east from Jakarta. Palembang is located in the province of South Sumatra (Sumatera Selatan) on the Musi River. On Tuesday I will travel from there to the province of Lampung making stops in Metro and Gisting and maybe one or two others depending on what has been arranged. I was given the option to drive or fly to Lampung, where my fist stop will be Metro. To fly there from Palembang requires flying to Jakarta and then down to Lampung. They said it takes five hours but if you add one or two hours at the airport you’re up to seven for the trip and, like traveling to South Dakota from Milwaukee, you might as well drive it. Besides, it will give me a chance to see the countryside; something you can’t do very well from 35,000 feet up. My room at the seminary is very comfortable and air-conditioned for which I am grateful, more for the quality of the air at the moment than the cooler temperature. Certainly one of the differences that’s easy to spot from my last trip some 18 years ago is that air-conditioning is available in certain rooms — especially guest rooms. The roads in Jakarta, Yogyakarta and Palembang also seem much improved. It will be interesting to see if rural South Sumatra and Lampung roads have changed much in the same time span.